At its most recent meeting, the State Council on Revenues downgraded its outlook for Hawaii’s economy by dropping its forecast of economic growth from 6.7% to 5.2% for the current fiscal year. Although the overall growth rate in general fund tax revenues was pegged at 14.5%, 4.3 points are attributable to the catch up of the delay in state income tax refunds from two years ago and 5 points are attributed to the changes in state tax laws that are expected to produce about $200 million less in new revenues than the legislature had counted on when drawing up its financial plan for the fiscal biennium. These latter tax law changes are good only for the current and next fiscal year and, therefore, added revenues from that source will disappear in fiscal year 2014. It should also be noted that the Council’s adoption of the added revenues from tax law changes is substantially less than what the legislature had assumed when they adopted those changes. The difference amounts to approximately $100 million for each of the two fiscal years. Therefore, even without any spending restrictions or other adjustments to the recently approved biennium budget, the state spending plan will be under water by almost $200 million over the fiscal biennium. Given that situation, lawmakers will be searching for additional revenues in order to avoid making additional reductions in spending. The will to adopt additional tax increases will be absent given the fact that all legislators will be up for reelection in 2012 as a result of the decennial reapportionment of the legislative districts. Thus, many observers believe that the legislature will actually turn its attention to a number of gaming bills that were introduced during the 2011 session and to some extent received considerable attention. There is no doubt that gaming might be looked upon as a potential resource to fill in the budget gap. On the other side, again, is the fact that next year is an election year and the public is deeply divided on the issue of gaming, especially in the House where each representative has a smaller constituency in his or her district and where a few votes one way or the other could win or lose the election. In addition, as with all levels of government pushing to downsize payrolls, the additional monitoring and regulation of gaming activities may work against adoption of the activity if it means added personnel costs for the public sector even though there may be additional revenues from gaming. Then there are those who are concerned about the potential social problems that gaming in Hawaii would create. We all chuckle every time someone mentions going to “Vegas” or enumerates the number of trips made to that ninth Hawaiian Island. 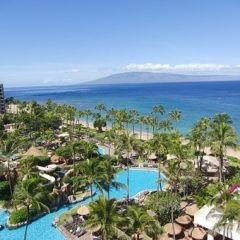 It is a matter of fact that Hawaii people like to gamble and at least the time and expense of traveling to Las Vegas stands as a barrier to those who financially cannot swing the trip and probably can’t afford to lose the money. The question that lawmakers and taxpayers need to ask is whether or not the additional revenues lawmakers believe will come from adding gaming to the list of revenue resources will outweigh the additional costs that will come with gaming. While gaming, per se, is not a tax, it has tax implications from the standpoint that it will require additional public programs – those that are needed to operate the gaming activities including the legal enforcement and those that will be needed to address the social and financial implications. Another consideration is the amount of participation that will be needed to make a gaming industry a lucrative source of public revenue. Unlike its counterparts on the mainland which allow gaming, Hawaii is not contiguous with other jurisdictions where residents from other states or counties can cross state lines to participate in the gaming activity of another state or county. Think of it in the reverse of Hawaii residents traveling to Las Vegas. Will the cost, time and distance be attractive enough to gamble in Hawaii? Finally, the adoption of any form of gaming in Hawaii may open the door to forms other than what may be authorized by the legislature because of the Hawaiian sovereignty issue giving rise to those other forms of gaming on native Hawaiian enclaves such as Hawaiian Homes Lands.